Stump Cross as seen from the opposite side of the Long Causeway. OS Grid Reference: SD 8780 3003. 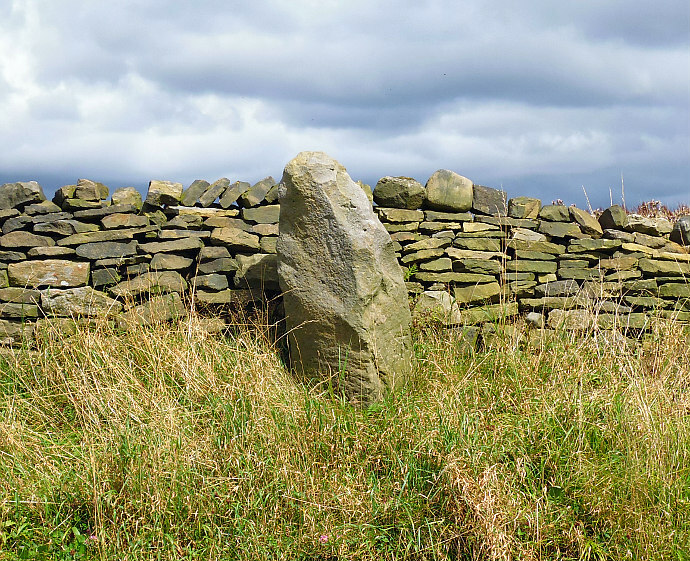 At the side of the Long Causeway, near Mereclough, Lanca-shire, is a standing stone that is locally called ‘Stump Cross’. 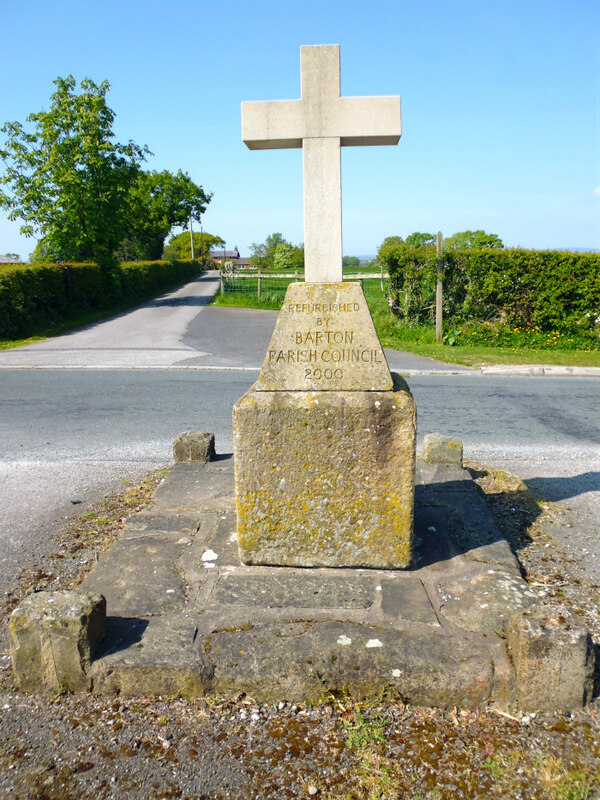 It is a very weather-beaten stump of a stone which has the name STUMP CROSS carved onto it and also an incised cross. The thinking is that it was originally a Bronze-Age standing stone that had stood on the moors, or it had came from a nearby stone circle? 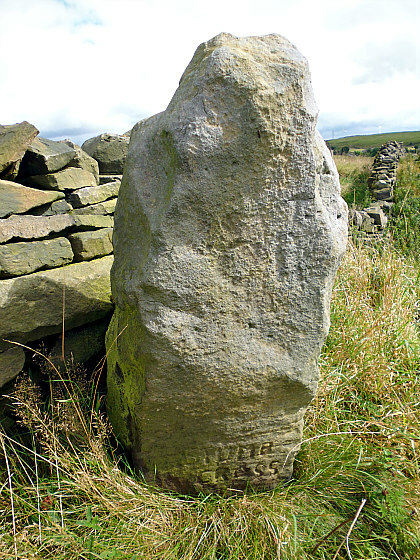 In more recent times, however, it seems to have been chopped down to its current height for it to become a marker stone or guide post, and then brought in to use as a wayside cross; there are other crosses close to the Long Causeway, which is a medieval trackway linking the towns of Burnley, Todmorden and Hebden Bridge. 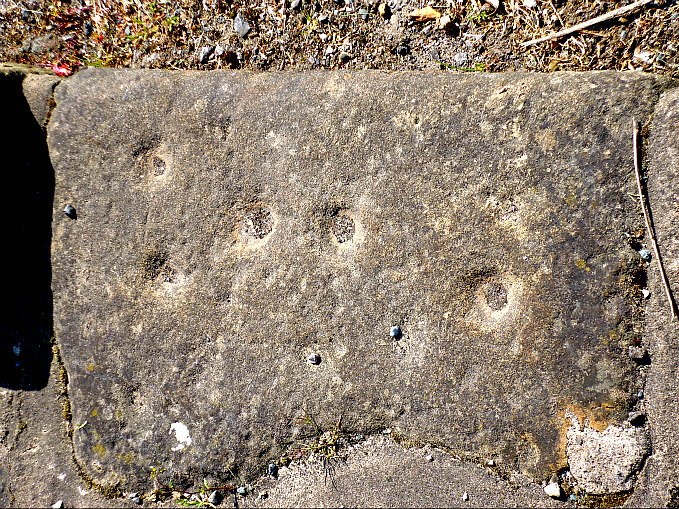 The stone is best reached from the A646 (Todmorden Road). Turn right up to Over Town and Mereclough; then turn right again at the pub and go up hill onto the Long Causeway. Stump Cross is about 1 mile along here at the left side of the road, just before Stone Jug Farm. There is a rough parking place at the opposite side of the road, but the road can be very busy – so please take great care if photographing the stone. Stump Cross, near Mereclough, Lancashire. Today ‘Stump Cross’ cuts a lonely figure standing bravely beside The Long Causeway, a wind-swept moorland route between Burnley, Heptonstall and Hebden Bridge, linking Lancashire with west Yorkshire. It is a very worn and weather-beaten stump of a stone but still of local historical interest as a guide post and wayside cross. The words ‘STUMP CROSS’ now quite difficult to make out at the bottom of the stone and the incised cross near the top even more difficult still. It has obviously suffered from being chopped off at the top but this has, in a way, made it into a more shapely little standing stone. And if it was originally a prehistoric standing stone did it come from the moors around here? Did it perhaps stand upon nearby Mosley Height and come from a Bronze Age stone circle there? Or did it come from somewhere else? The Long Causeway was a medieval trackway and, later a packhorse route, though it probably dates from further back into pre-history. There are, or were, several other wayside crosses along, or close to, the Causeway, three such being Robin Cross, Maiden Cross and Mount Cross. 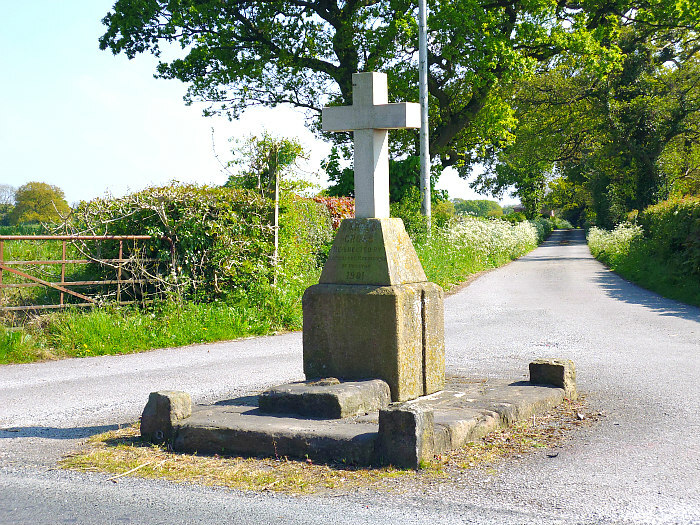 Other wayside crosses on or near the Long Causeway have now, sadly, been ‘Lost to Time’. Billingsley, John, Hood, Head and Hag, Northern Earth, Mytholmroyd, Hebden Bridge, West Yorkshire, 2011. 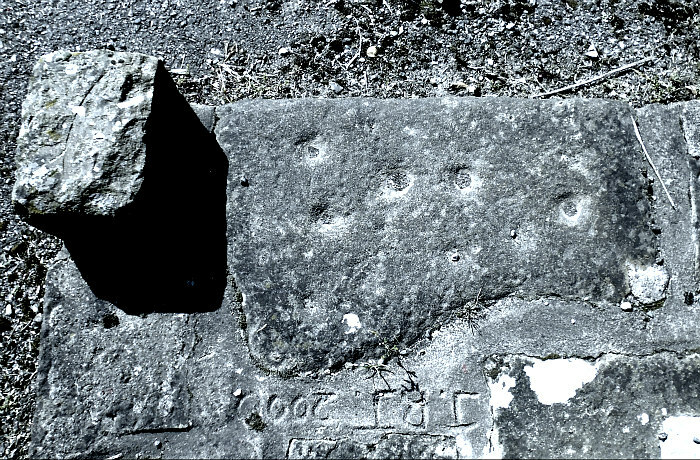 Categories: Ancient Crosses | Tags: Stump Cross near Mereclough in Lancashire | Permalink.